This fragrance was created by the house of Carolina Herrera with perfumer Alberto Morillas and relea..
Carolina Herrera presented the 212 VIP masculine edition in the year 2011. The perfume opens up with.. Created by the design house of Muelhens in 1792, 4711 is classified as a refined, fruity fragrance. 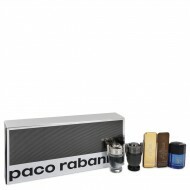 ..
One of the most popular and iconic men's fragrances of the 20th and 21st century was composed in 199.. Launched in 1999, Adidas Moves by the design house of Adidas received a prestigious FiFi award in 20.. Launched by the design house of Thierry Mugler in 1996, ANGEL is classified as a sharp, oriental, wo.. This fragrance was created by the design house of Bvlgari with perfumer Jacques Cavallier Belletrud .. This scent is a necessity in the collection of the gentleman of style. It is a clean, citrusy scent .. Launched by the design house of Loris Azzaro in 1978, AZZARO is classified as a refreshing, spicy, l.. Introduced in 1902, Penhaligon's Blenheim Bouquet remains a go-to fragrance for men who have risen t..
Parfums de Coeur fragrances and body sprays are created with the care and quality ingredients as des..
Take a trip to a tropical paradise with Bora Bora for men by Liz Claiborne. Feel as if you just emer..
Lauched by the design house of Boss in 1999. It's fragrant nature explores essences of fern, bergamo.. Launched by the design house of Dana in 1965, BRITISH STERLING is classified as a refined, spicy, la.. The fluid, versatile scent of Bvlgari Aqua Amara appeals to men who prefer exotic, medium-bodied fra.. This fragrance was released in 2017. A sweet aqua cologne with a refreshing blend of citrus notes t.. Wear Bvlgari Man In Black whenever you want recognition for your hard work and unyielding dedication.. Launched by the design house of Dana in 1932, CANOE is classified as a refined, spicy, lavender, amb..
Splash on a bit of Carlos Santana the next time you are heading to a place dressed to impress. Wheth.. Launched by the design house of Caron in 1934, CARON POUR HOMME is classified as a luxurious, fruity.. Designed by master perfumer William Fraysse and launched in 2015, Caron Pour Homme Sport is a cologn.. Released in 2015 this is a sweet spicy masculine scent that women will love. The blend is rich and ..
Christian AudigierÆs, the cutting edge designer, has a twosome set of scents for men and women was i.. Launched by Coach in 2017, Coach for Men is a spicy, aromatic blend. 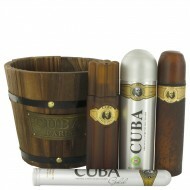 The blend opens with bright top..
Davidoff launched the legendary fragrance Davidoff Cool Water for men in 1988. 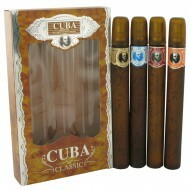 This scent revolution..
Cuba Blue was launched in 1998. 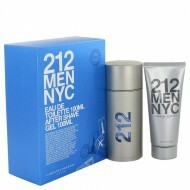 This refreshing scent is a crisp woody arid aroma for men. This masc..
Cuba Gold by Fragluxe is a luxurious blend of orientals with a blend of florals. 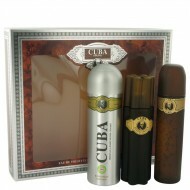 This masculine arom..
Cuba Red by Fragluxe is a refined woody mossy aroma for men. This masculine scent possesses a blend .. Launched by the design house of Guy Laroche in 1982, DRAKKAR NOIR is classified as a sharp, spicy, l.. This fragrance was released in 1934. You will find this scent both a classic and classy. A full bo.. The top note of bergamot, lemon,lavender rosemary and galbanum, middle note of coriander, nutmeg, ba.. 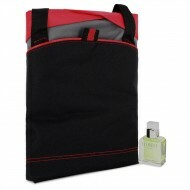 If you are searching for a youthful men's fragrance to wear during the summer months, Dunhill Pure b.. It opens with a burst of tropical green pineapple and green leaves with a heart of cedar, sandalwoo.. The scent of English Leather cologne is a unique blend of leather, woods, citrus and moss that lasts..
Calvin Klein's iconic Eternity line began with the original launch of the women's version of the sce.. Euphoria is a cologne launched by Calvin Klein in 2006. In the woody aromatic group of fragrance, th.. 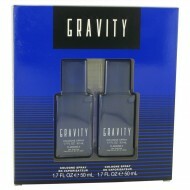 Gravity is a classic scent from Coty, introduced in 1992, this sharp oriental woody scent is sophist.. Created by the design house of Geoffrey Beane in 1976, Grey Flannel is classified as a luxurious, or.. Created by the design house of Halston in 1976, Halston Z-14 is classified as a sharp, woody, mossy .. 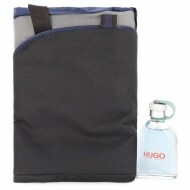 Launched by the design house of Hugo Boss in 1995, HUGO is classified as a refreshing, spicy, lavend.. If you're in need of a midday refresher, spray Invictus on yourself to liven up your day. This men's.. Released by Jeanne Arthes, Joe Sorrento is an invigorating and seductively powerful cologne for the ..